I recently discovered some photos I had misplaced, taken in Nelson in the 80s. 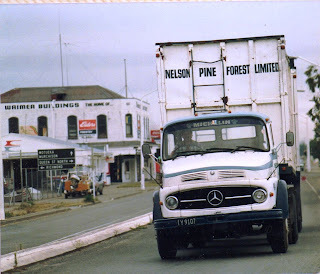 Wood chip trucks seemed to be the most common trucks on the road at the time.A Nelson Pine Forest single drive Mercedes-Benz with A-train "Chip-liner". Smart looking Nissan furniture van. 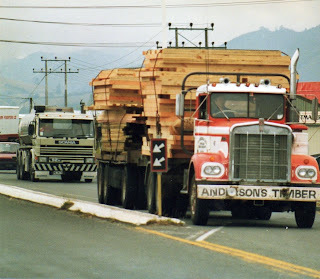 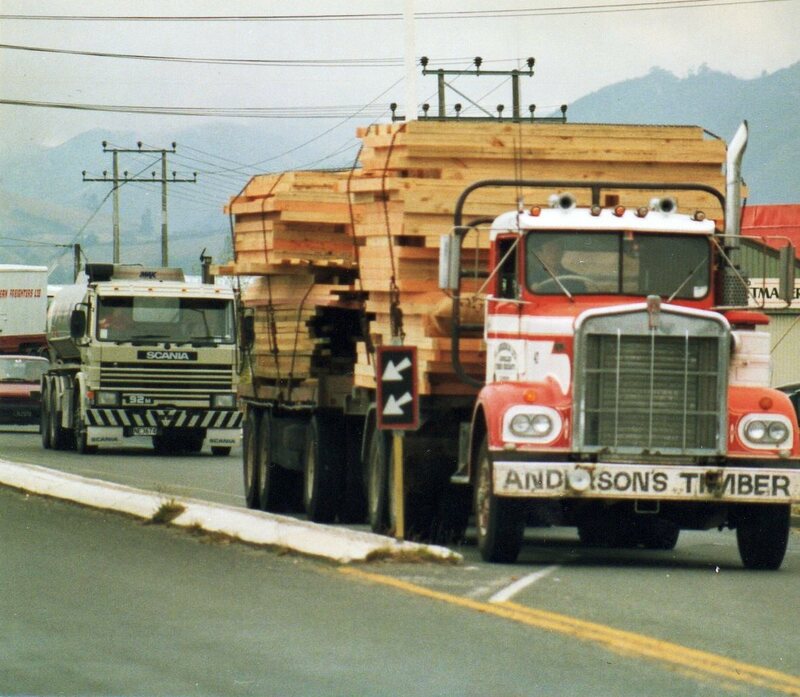 Kenworth W900 rigid of Anderson's Timber with trailer and a load of timber frames. 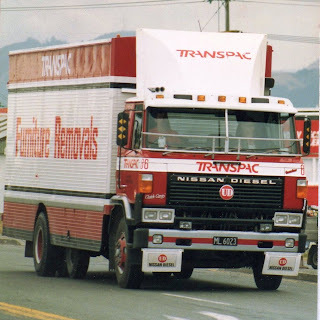 Another single drive A-train chip truck. 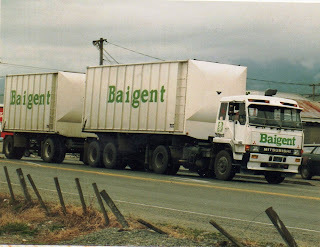 This time a Mitsubishi in Baigent livery. 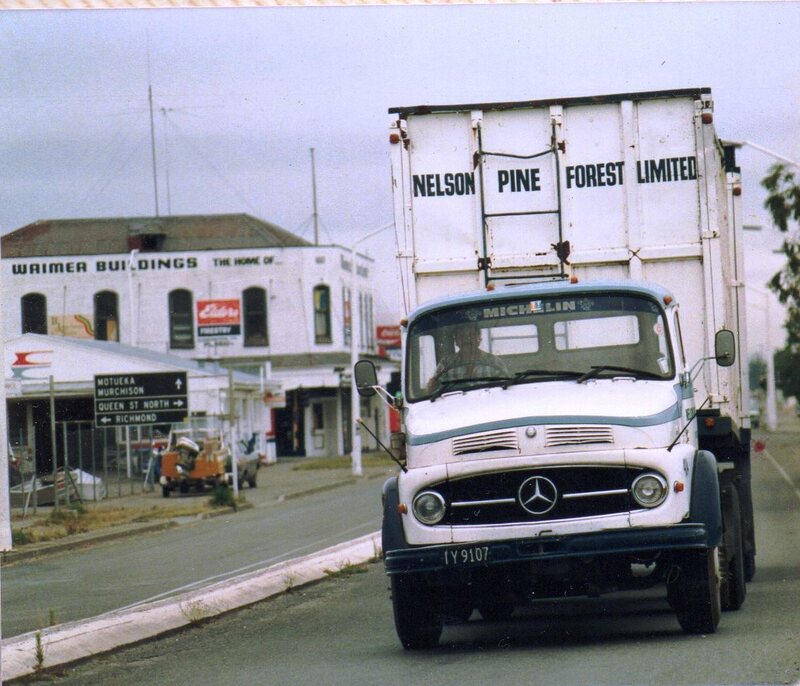 Mercedes again in Nelson Pine Forest colours. 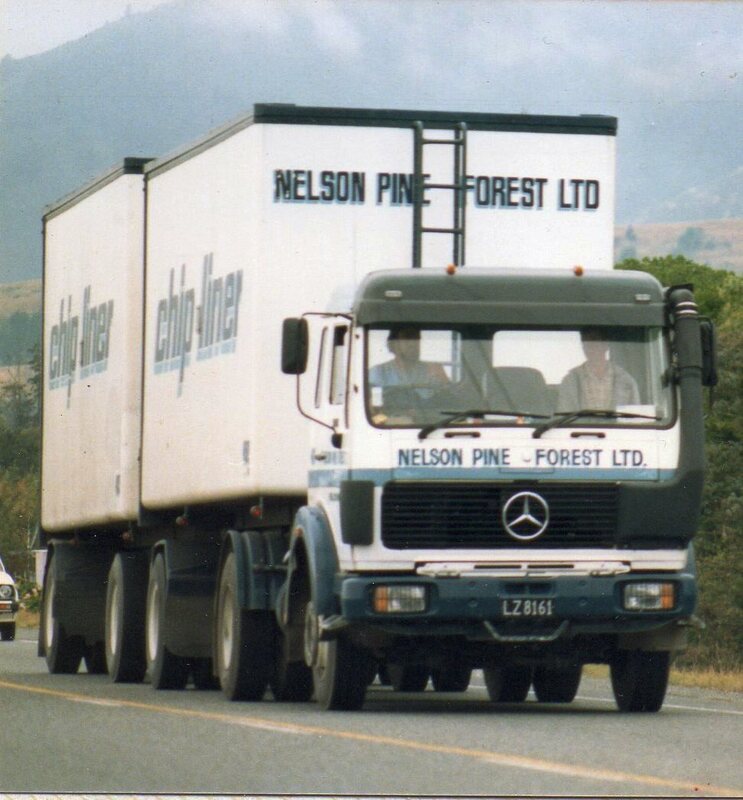 This time a long nose variation.